One of the most popular dinosaurs of all time, the Stegosaurus is quite distinctive with its row of large bony plates along its back, and the four fearsome spikes on its tail. These spikes are believed to have been used to protect Stegosaurus from attacking Jurassic predators such as Allosaurus. 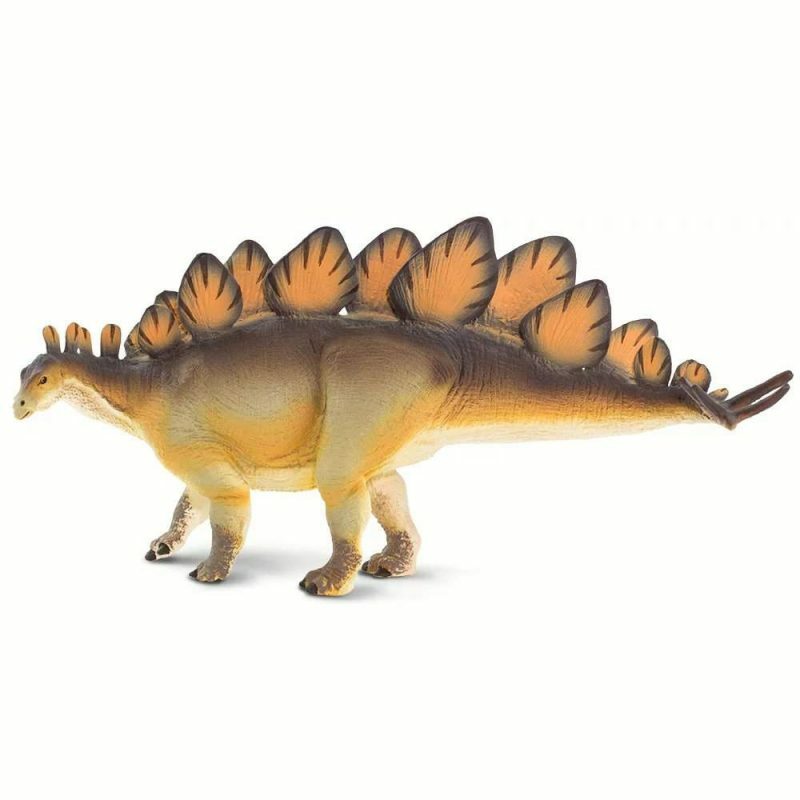 Characteristics: This Stegosaurus figure is glancing to its left with its tail tilted in the same direction, perhaps warning a predator not to get too close. It includes the dinosaur’s distinctive dorsal plates, tail spikes, and small armor-like throat scales. Size and Color: This hand-painted Stegosaurus toy measures 8 ½ inches long and just over 4 inches to the top its tallest plate. It’s about as wide as a sheet of loose leaf paper and as tall as a ceramic mug. Its coloration is a dark brown above with light grayish green and orange on its sides, with brown feet and dark brown toenails. Its plates are orange with dark brown markings. Tags: 2019, safari, Stegosaurus, wild safari.